The new Superfood-Drinks with basil or chia seeds are now available online at VitalAbo! Refreshing drinks enriched with vitamins and superfoods. 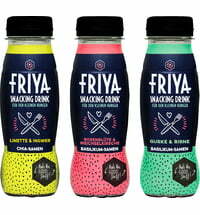 The unique Superfood Drinks by Friya do good, taste good, and are easy to take with you wherever you want to go. Basil seeds have been valued in Ayurvedic tradition for many years. 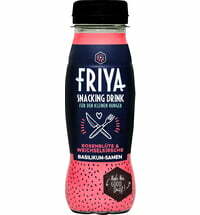 In FRIYA they combine with the delicate, delicious sour cherry and rose blossom flavours to deliver you from cravings. Chia seeds are true powerhouses that have been valued since the time of the ancient Aztecs. 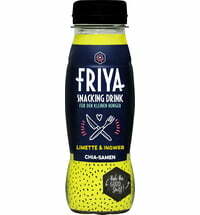 In Friya's drink, they are combined with the refreshing flavors of lime and ginger to free you from cravings! THERE IS ALWAYS TIME FOR FRIYA!